Alaska's output of peonies, the large, lush flowers in demand for summer weddings, is projected to grow dramatically in the next few years, a sign the state is making more of a name for itself in the floral industry. 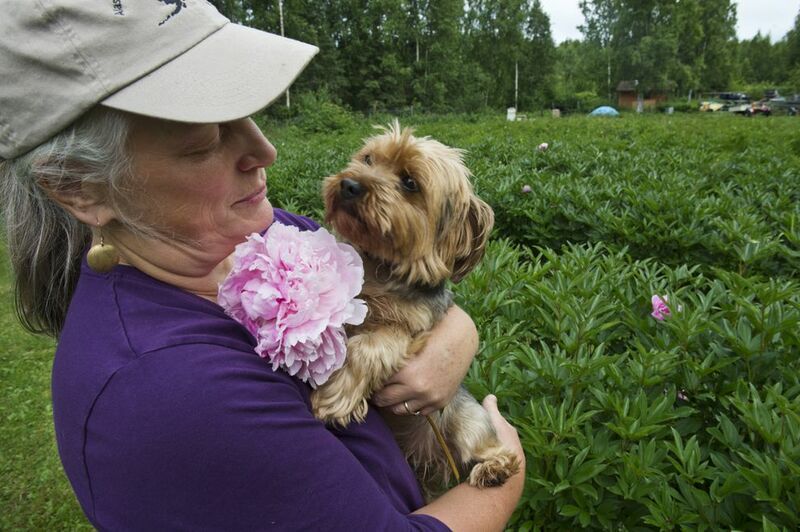 A smattering of farmers in Alaska embarked on peony growing roughly a decade ago, but that number has now shot up to more than 100. Recently, some started wholesaling the product to new markets. "The industry's about to explode," said Jason Floyd, president of Alaska Peony Broker. "There's a number of farms getting ready to come online in the next few years." 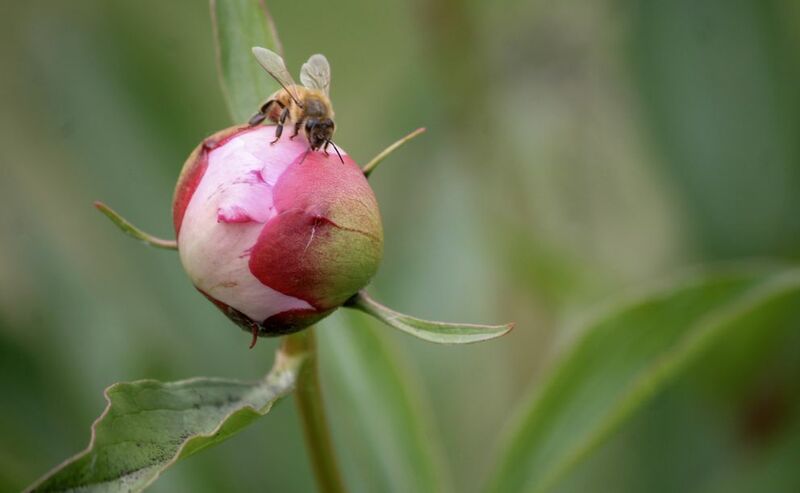 Pat Holloway, a former horticulture professor at the University of Alaska Fairbanks who tracks the industry, said a group of nearly 40 growers she surveyed in the state estimate that they will harvest more than 400,000 peonies this year, measured by stem count. Growers estimated that in five years, their harvest might be 1.3 million stems. Growers are forming co-ops and honing prices for retailers and wholesalers alike, Holloway said. One grower even said hiring is starting to become an issue for the sector, which competes for workers during salmon season. A huge market worldwide for the fluffy flowers is fueling the growth in Alaska, said David Russell, president of the Alaska Peony Growers Association. Southcentral and Interior Alaska are uniquely situated for peonies; they bloom later in the summer here than elsewhere. Markets include individual brides, florists, grocery stores, farmers' markets and more. Floyd, the peony broker, started the company last year, operating mostly online from his home in Kenai. He saw the opportunity to serve a niche market, giving producers a platform that's easier for wholesalers to buy from. Peonies take three to five years or even longer to grow to their first commercial harvest after the roots are planted. Russell said he's watched as the sector has grown from "nothing" in the early 2000s to, he estimates, more than 150 growers now. He also owns a peony farm, Boreal Peonies, with his wife in Two Rivers. "There have been more and more people getting into the industry," Russell said. "Kind of at the point now where labor is getting to become an issue. Having enough people to harvest and people to pack." Holloway said she's tracked 128 Alaska farms that grow peonies. Still, Alaska's peonies are barely making a dent in the supply internationally. "On the world markets, it's still in its infancy," said Holloway. "The cut flower trade is a multi-billion dollar industry worldwide. To sneak into the side of that and have a product that is sold on these world markets is astounding." Some Alaska peony growers are just reaching the point where they're producing enough flowers to break into wholesaling, rather than selling direct to customers, like brides. "We are just now having enough stems available for wholesalers to pay attention," said Russell. "We're attracting interest from distributors around the world." Ronald Illingworth is president of the board of directors for the Arctic Alaska Peonies cooperative in the Fairbanks area. The co-op, which has 23 member farms, started looking at how to market flowers to larger-quantity buyers — like distributors that sell to grocery stores — around 2015. Now, the co-op is starting to sell to bigger wholesale customers and "scratching the surface of the East Coast," Illingworth said. This year is the first that many of the farms in the co-op are getting their flowers on grocery store shelves. Barbara Henjum's Brown Hen Farm, which she co-owns with her husband Jeff Brownlee, began three years ago on a half-acre at their Peters Creek home. Because it takes years for plants to mature, she's shipping her first boxes to customers this summer. 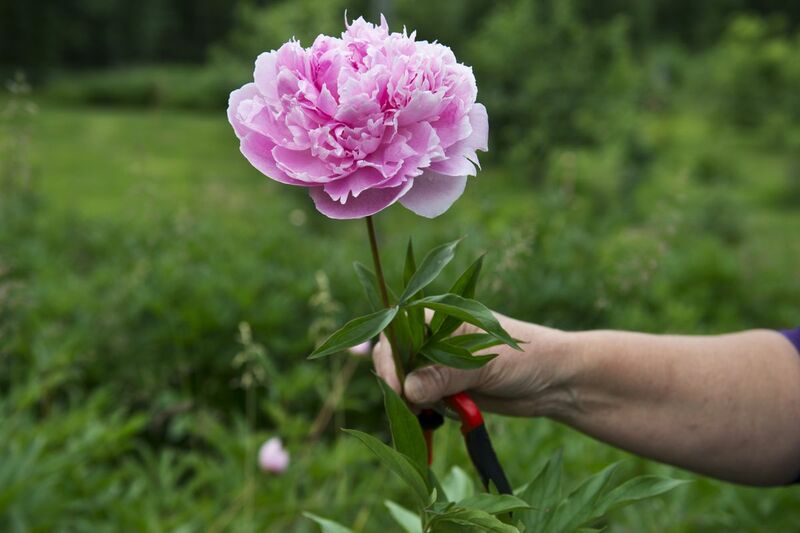 Brown Hen Farms is one of 11 growers of the Alaska Peony Cooperative, which shares sales and marketing expertise and coordinates shipping to capitalize on the large flower. And it suits Henjum well in retirement. She tends to about 1,000 plants on a half-acre plot that had once been a llama pasture, she said. "I love flowers and I always have. And I'm not good at sitting around," she said. There are still challenges for Alaska's peony industry, said Illingworth. Among them, breaking into markets in Asia and figuring out better cold storage and cold transportation to keep the flowers in peak condition. "In the whole flower market we're a drop in the ocean," Illingworth said. "But in the peony market, we're starting to have an effect." ADN's Marc Lester contributed reporting for this story.